Written by guest blogger Denise Deby. Action to save the South March Highlands: Check out the blog of the Coalition to Protect the South March Highlands and the Facebook group I want to save the land North of Beaver Pond Park in Kanata Ontario, or @SouthMarch on Twitter. Write to your Councillor about your views, if possible before the next Ottawa City Council meeting (Wednesday, September 22). Support is needed to protect this unique habitat – the only remaining old growth forest within the City of Ottawa – from housing and road development. The area is one of dense biodiversity with over 654 species of plants and birds, including several that are rare or endangered. 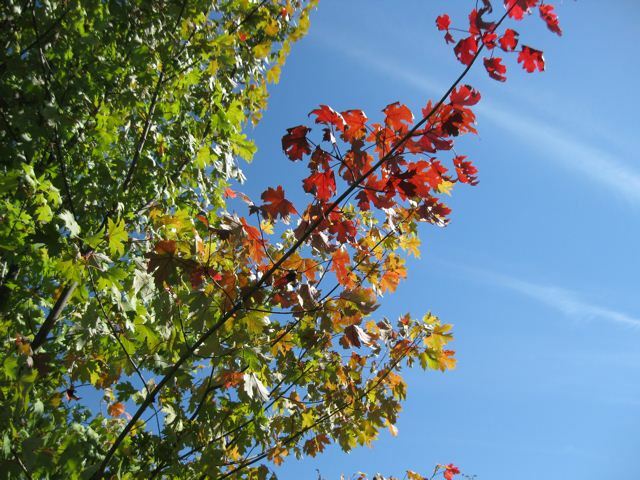 Nature Hike in the Greenbelt: Sunday, September 26, 10:00 am. Canadian Parks and Wilderness Society-Ottawa Valley Chapter is holding a guided hike along the Jack Pine, Beaver Pond, and Lime Kiln Trails in the Stony Swamp Conservation Area. Meet in the Beaver Pond Trail parking lot near the intersection of Moodie Drive and West Hunt Club (P8 on the NCC Trail Map). The hike will last about 2.5 hours. All ages and skill levels welcome. Contact ov-outreach@cpaws.org for information or carpooling. All-Candidates Mayoral Debate on Environmental Issues: Sunday, September 26, 6:30-9:00 pm (debate starts at 7:00). Hosted by Ecology Ottawa in partnership with several other organisations. Candidates for mayor will articulate their views on how to make Ottawa a more sustainable city. St. Paul’s University Auditorium, 223 Main St. SLOWest learning series: Simple and sustainable living: Monday, September 27, 6:30-8:00 pm. Sustainable Living Ottawa West in partnership with Maison Tucker House presents The Seventh Generation Learning Series. This first of several free seminars will be on ways to simplify our lives. At Carbon Computing, upstairs classroom, 1065 Wellington St. West. David Suzuki: The Legacy Lecture: Monday, September 27, 7:30 pm. Billed as “a critical and candid exploration of a period of human history which includes [Suzuki’s] own life’s journey — an era which has overlapped and converged with many of the most important social, scientific, cultural and political developments of the past seventy years….” Part of the Ottawa International Writers Festival in partnership with the David Suzuki Foundation and the Faculty of Science and the School of Journalism and Communication at Carleton University. At Dominion Chalmers United Church, 355 Cooper St. Tickets $30 ($25 student or senior, free for festival members). Thursday, September 30, 6:30 pm (doors open at 6:00 pm): Banking Diversity (the vital role that seed saving and seed diversity play in ensuring a stable global food supply) and Eating Alaska (What happens to a vegetarian who moves to Alaska and marries a commercial fisherman and deer hunter?) Films will be followed by a People’s Food Policy discussion. and Wednesday, October 6, 6:30 pm (doors open at 6:00 pm): What’s On Your Plate? (a documentary about two 11-year-old African-American city kids as they explore their food supply). Each evening is free admission (donation of $5 appreciated). Ottawa Public Library, Main Branch, 120 Metcalfe St. Contact heather@justfood.ca for information or visit www.justfood.ca. The South March Highlands: City Council will consider a motion on Oct. 6 for the City to purchase the land, by expropriation if necessary, and redesignate it as Natural Environment Lands. You can contact your councillor about this (http://www.ottawa.ca/city_hall/mayor_council/councillors/index_en.html). There is also a petition at http://www.thepetitionsite.com/1/protect-south-march-highlands/. Mayoral debate: If you missed it you can watch it on Rogers Cable 22 on Tuesday, Sept. 28 at 8:30 pm. David Suzuki: The Legacy Lecture is sold out.